We’ve almost reached mid-year and much has changed in the economic and retail space of the country. While the summers were hot and scorching as usual for all, we’ve had a good run. The monsoon season seems to bring with it a fresh new wave of perspective and many changes, especially in the retail space. And it seems that the forthcoming season looks promising with the developments in the retail segment. 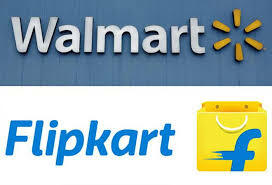 Wal-Mart’s iconic deal with Flipkart is one development that has made the industry as a whole look up and takes notice about the major changes. With this takeover, we would surely have many foreign giants entering the Indian retail space in a big way, especially American companies who are making inroads in India and looking to take a piece of the Indian economy. With consumers turning to retail in a big way for almost every need and want, this space is booming in the country and will only grow further. However, Indian entrepreneurs have taken note of this move by American companies and they would certainly not want to be left behind. They are now taking their positions against the American players and so we have Wipro investing in the Future Group. Wal-Mart’s deal will certainly have a far-reaching impact on Indian retail as India is the biggest market, though the volume may not be huge. But, due to this development, Indian business houses are looking keenly at India as a major investment. Besides, China too is supporting Indian companies and so we can look forward to Indian companies getting more support and investment from home-grown companies itself. The market and industry as a whole seem promising and the textile ministry too is heavily promoting the ‘Make in India’ initiative. So, overall, I feel that we can look forward to a great surge and an upward graph in India’s retail space. Moreover, the government’s initiative is set to have a positive effect on the garment industry, which will in turn have a great impact on the intimate wear, active wear and lounge wear markets. All-in-all, we are quite happy with how this half year has panned out and anxiously waiting for the rest to unfold.